When Steve Williamson embarked on his teaching career 25 years ago he never dreamed that his job would one day involve snakes, chickens and jumping into the icy waters of Lake Ullswater. Mr Williamson is now headteacher of Northern Saints CE Primary School in Sunderland, which was named as a winner at the 2016 Pupil Premium Awards in May this year. 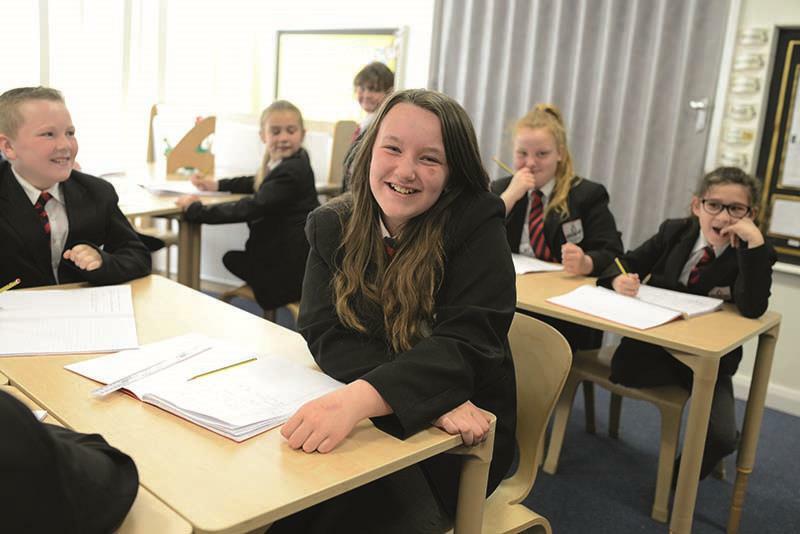 Northern Saints, where 50 per cent of pupils are eligible for the Pupil Premium grant, was one of two joint national winners in the key stage 2 category of the awards, which celebrate schools that are making “a real difference in supporting their disadvantaged pupils”. Mr Williamson, his 58-strong team and the school’s 517 children were delighted to be honoured for their achievements in raising pupils’ aspirations and improving their life chances. The team’s success was particularly notable because Northern Saints is a relatively new school, formed in 2013 from two predecessor schools. When Mr Williamson arrived in 2009 one school had been languishing in special measures for two years. After turning the school around in an impressive 10 months he became executive head of the second school, which before his arrival was one of the worst 200 performing primary schools in the country. The children were involved in planning the new school right from the start. They were not impressed, for instance, that the staff had their own staffroom so Mr Williamson and his team created a “communal hub” instead. The school also built a spacious community library, decided to keep chickens (the children collect the eggs each day) and transformed a series of former storage rooms into learning hubs that can be used at playtime, including a reptile room complete with snakes, bearded dragons, white tree frogs, chameleons and crested geckos. Northern Saints, which receives just over £300,000 in Pupil Premium payments each year, serves an area of low aspiration, where there have been few cultural opportunities in the past. Northern Saints, which is now in the top 100 performing schools for progress made between key stage 1 and 2, prides itself on giving children the opportunity to learn from first-hand experience, both outdoors and through an extended and enhanced curriculum. “The rate of progress of our disadvantaged children is remarkable, particularly as they reach key stage 2,” said Mr Williamson. “Our disadvantaged pupils outperform their peers in reading and maths. We have achieved this through the notion of co-construction with the children – the idea of co-planning all their learning and working to ensure that this ethos feeds throughout the school. The first partnership is with the Outward Bound Trust, an educational charity that runs adventurous and challenging outdoor learning programmes. Mr Williamson has always been passionate about outdoor education and was keen for pupils at Northern Saints to experience opportunities outside the curriculum. 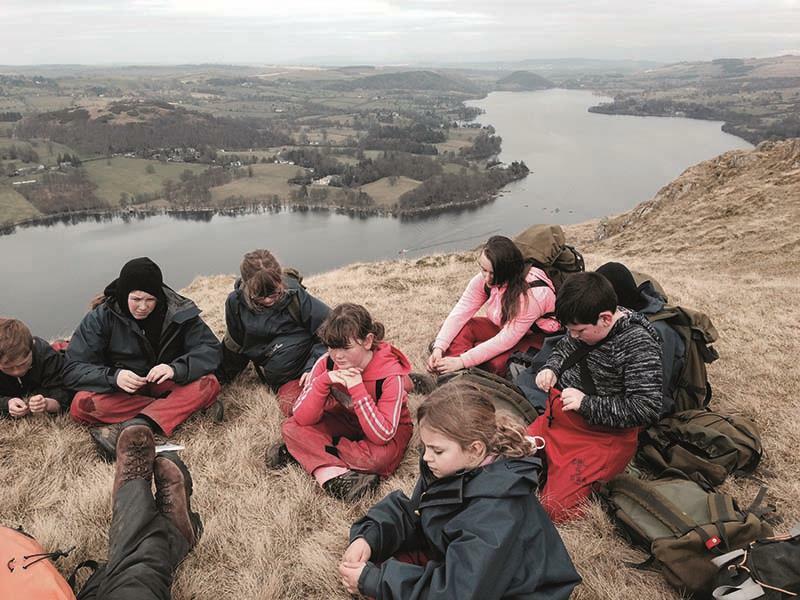 In a typical year at Northern Saints, all year 5 pupils take part in a weekend expedition at an Outward Bound training centre in the Lake District. “But this is no ordinary primary school visit,” said Mr Williamson. “One of the first things they do when they arrive is go down to Lake Ullswater and we all jump in, teachers included. Some children say ‘I can’t do this’, but through this programme we teach the idea of having a positive mindset, how to tackle the unknown and what you do when you are faced with a challenge. In year 6, the children have a week-long expedition to Ben Nevis in Scotland, where they go rock-climbing and abseiling on Scimitar Ridge and tackle an overnight expedition. The landscape is often thick with snow and the youngsters carry all their own equipment, including full A-frame tents. The school’s second partnership is with Beamish Museum in County Durham, an extraordinary open-air museum that chronicles life in North East England during the 1820s, 1900s and 1940s. Northern Saints staff attend training days at Beamish, use their materials and resources in school and target pupils who are struggling with their learning. Different year groups get the chance to spend a day at the museum’s Victorian school, mining colliery and Edwardian bakery. The school’s other partnerships are with the National Glass Centre in Sunderland (one project involved the children creating a stunning array of crystal minibeasts) and Seven Stories, the national centre for children’s books in Newcastle upon Tyne. Northern Saints has also used some of its Pupil Premium funding to pay for a reader-in-residence from Seven Stories to work with the children for two days a week. Mr Williamson has now seen a whole cohort of children progress through the school and is convinced that the breadth of opportunity they have experienced pays dividends. Their work is far more detailed, their focus in class is excellent and they are very proud of their school. 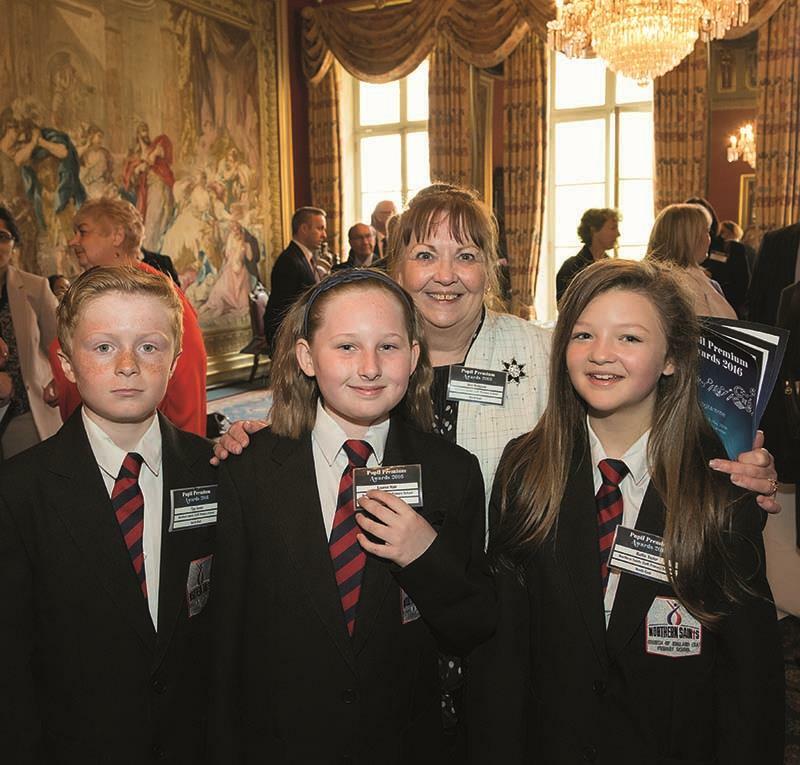 When it came to the Pupil Premium Awards ceremony at Drapers’ Hall in London, Mr Williamson and chair of governors Ann Hodgson decided to take three of the school’s most disadvantaged year 5 pupils along with them. Emma Lee-Potter is a freelance education journalist.